This Bambino Super Wide Gate is suitable for stairs and doorways. Four pressure points increase stability and it is easy to install with no screws or drilling required. 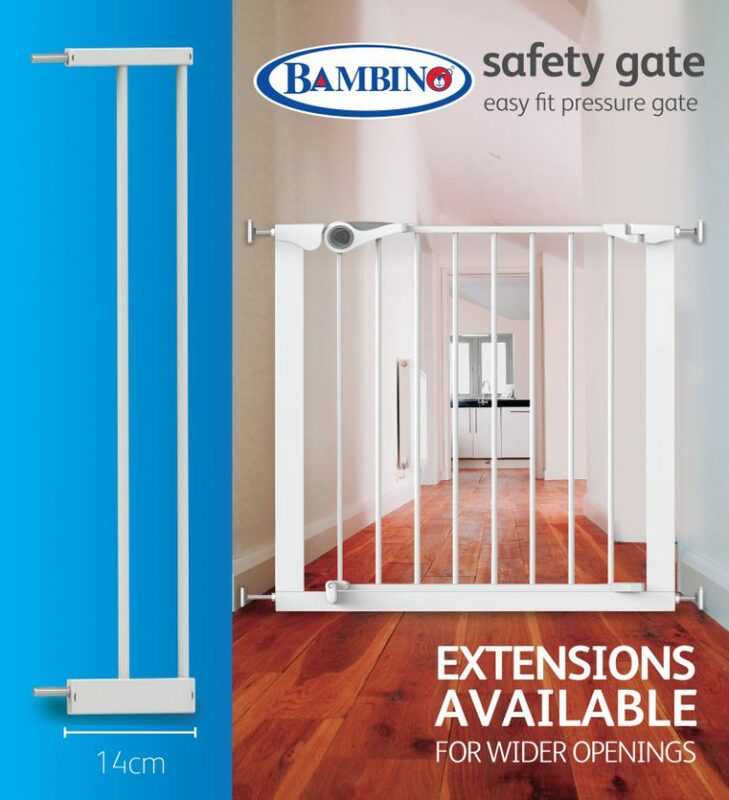 Bambino Super Wide Gate extensions are also available as an optional extra. The Bambino Easy Fit Pressure Super Wide Gate provides complete peace of mind, so that you can relax knowing that your little ones are safe. Additional gate extensions can be purchased to get the correct size for your doorway or opening. Please ensure that you measure your doorway correctly and measure from the narrowest point for the perfect fit!